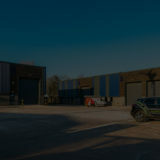 We created the first zero energy cost business park in the UK. Armstrong Point has been built using state of the art green technologies, scoring the highest BREEAM score in the world in 2013. Armstrong Point includes nine high specification units of various sizes to suit different businesses. All units have achieved A+ zero rated Energy Performance Certificates, meaning substantial savings on energy costs for tenants. The site has Secure by Design accreditation, and is set in an established industrial location with easy access to regional and national road networks. All Armstrong Point tenants also receive free business assistance to help them lower their operational running costs and wastage. What? 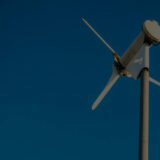 Converts wind power into electricity that can be used locally, or exported to the National Grid. Why? Can generate 20,000kW of electricity per annum, saving 11 tonnes of CO2 per annum. What? Roof mounted panels which collect solar radiation, turning it into a usable current. Why? 60,000kW of electricity will be generated for tenants, saving 33 tonnes of CO2 per annum. Any surplus will be sold to the National Grid. What? Roof mounted solar collectors then heat water, storing excess in a well-insulated cylinder. Why? Solar hot water heating will save 6.5 tonnes of CO2 per annum. What? Uses solar radiation to deliver naturally warmed fresh air into a building with no moving parts, minimal energy running costs and minimal CO2 emissions. It also includes additional cladding. Why? It works in conjunction with the warehouse heating through an intelligent Building Management System (BMS), saving 15.5 tonnes of CO2 per annum. What? This will improve tenant comfort during warm periods. Why? Takes the heat striking the outer cladding away from the building, as warm air rises through the cladding system and is ventilated. Bypass dampers can be used to cool the concrete floor slabs during the night time. What? The accumulation and storing of rainwater for reuse to flush toilets, wash vehicles, and look after the grounds. Why? Saves money and the associated carbon cost of water. It also helps local drainage in times of heavy rainfall. What? The transpired solar collector provides the majority of the heat load requirement. Gas fired heaters can top up on days when there’s inefficient heat. Why? Gas fired units are 100% efficient in converting the gas into heat energy and fully controlled by the intelligent Building Management System (BMS). High efficiency warehouse heating saves 2.8 tonnes of CO2 per annum. What? All offices are fitted with an air source heat pump, providing efficient office and toilet space heating. Why? The chosen heat pumps provide four units of heat energy for every one unit of electricity they consume (400% efficient). 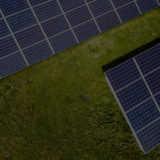 The Photovoltaic panels provide this electricity, saving cost and carbon emissions to provide office heating. What? 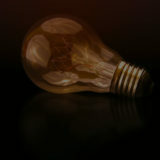 LED light is a solid state lamp that uses light-emitting diodes (LEDs) as the source of light. Why? Energy efficiency at its best with positive Health and Safety implications. It reduces energy consumption by almost 80% compared to traditional lighting, and motion sensors further reduce costs by 4%. 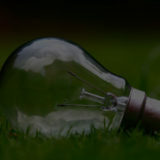 LED lighting will save over 28 tonnes of CO2 per annum. What? A high efficiency heat exchanger which transfers heat energy from the extract air to the incoming supply air. Why? Provides air in the most energy efficient way, reducing costs. What? Sophisticated control systems and full Building Management Systems (BMS) which maximise efficiency. Why? Optimum start/stop, weather compensation controls, and automatic cut-of switches. What? A measurement of the rate of heat loss through a material. Each material chosen was tested for thermal efficiency. Why? All ‘U’ values are an improvement to 2010 Building Regulations. Some improved by 58%, reducing energy consumption and costs. What? Tenants can see exactly how energy is used in their unit, broken down into heating, lighting, and operational use. Why? Software will help to demonstrate where savings are being made, helping tenants to make continual improvements. What? To encourage tenants to save energy while they’re commuting, we’ve provided charging points, with energy generated on site. Why? Electric vehicles achieve 3x more miles per gallon than the most efficient petrol or diesel cars/vans.